I speak now to you, scions of Geekdom, of the fabled tales of a hobbit most small: Bilbo Baggins. The hobbit that stood at the Battle of the Five Armies, that stood down the mighty Thorin Oakenshield, that fought to determine the fate of Middle Earth. He did pass on his mighty treasures to the one they call Frodo, but all true scholars of the storied tomes of J.R.R. Tolkien would speak only of Frodo in passing. Though Frodo did slay the foul Sauron in his quest, he lacked Bilbo’s skill, charm, narrative focus, and theme song bestowed by sage Nimoy. Yet I watch the adventures of Bilbo Baggins in a place of much revels, the Movie Tavern of Collegeville, and I find myself filled with great fear. I know that the Sage Peter Jackson only meant to make one Hobbit movie, and that this would have been the crowning achievement of all the wonders he wrought. But then one became two, and two became three, and the worst fears of our great minds were realized: much as Thorin fell to the disease of his Grandfather, dragon’s sickness, the Sage Jackson had likely fallen to a similar sickness: Lucas syndrome. A perilous disease which forces its victims to try and recreate their past glories. 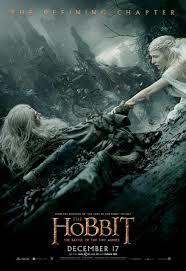 By what magic would the stories spring from to make it possible for The Hobbit, the shortest of J.R.R. Tolkien’s volumes, to be made into three movies? This however, is why one must never underestimate a Sage. He had his material: for the Silmarillion and other appendixes penned by J.R.R. Tolkien gave him plenty of story to tell. Alas, whether or not it would work in a single story forged together to go with The Hobbit was a question for the ages: could the Sage Jackson forge the one trilogy to rule them all? The characters are questionable. Much has been said about the existence of Tauriel, the character wrought from naught but the imagination of Peter Jackson’s writing staff. I have heard the term “Mary Sue” bandied about as of late, and feel that valor and sacrifice must be honored where valor and sacrifice are shown. The mark of the invincible super-heroine who can do no wrong is that everyone loves her, she has no flaws, she cannot lose, and she always gets what she wants. What I will say is this: despite having similarities to the characters that fan-fiction authors oft place in their works, she is no Mary Sue. I’ll not spoil the surprise, but I will say that the resolution of her portion of the plot with Kili is fitting. You will watch this movie, and you will say to yourself: “This is not the Lord of the Rings Trilogy.” You will say, “Where did that dwarf go after Bilbo got knocked out?” You will say, “But what happened to Bard and the rest of the Laketown Villagers after the final battle?” Or, “Where did those extra Rams come from? !” And you’ll even say, “So why weren’t the Dwarves and Elves on better terms by the time of Lord of the Rings after all of that? !” The plot forged by Sage Jackson has holes comparable to a Swiss cheese. And then you will remember a shield wall of Dwarves that Elves flip over to engage their orcish foes! You will remember that there is still some magic in the many moments. The movie is fun, and there will be much rejoicing among the great many fans, of which I stand as one. 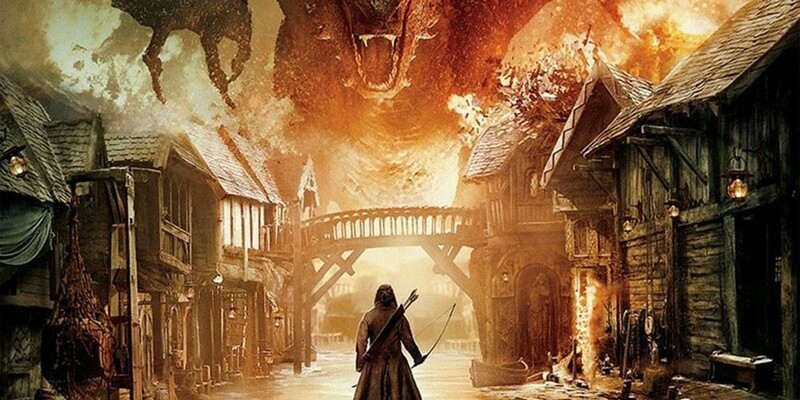 The Battle of the Five Armies is an acceptable finish for the Hobbit Trilogy. Unfortunately, it will never pass into legend as the Lord of the Rings did. It is flawed, but beautifully so.